A Rolex watch is truly an investment, especially when it’s a vintage Rolex watch. 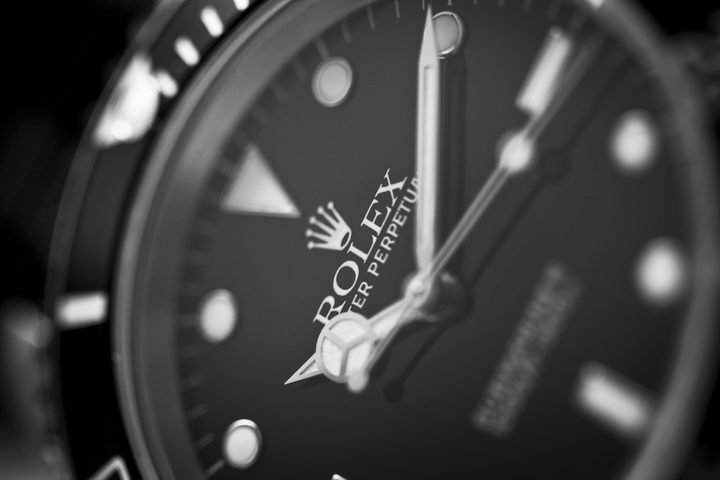 Rolex has long been considered the most prestigious watch a person can own. A Rolex wearer is seen as a person of power, wealth, and sophistication. He is also seen as a smart investor. A vintage Rolex watch is even more valuable as an investment than a brand new Rolex watch. This is due to the fact that a new Rolex will depreciate in value just as soon as it’s purchased. That’s because of the retail mark-up and the fact that a Rolex watch is a collector’s item that will last the owner a lifetime. However, over time, the value of a Rolex will begin to increase again. Finding a vintage Rolex at a good price is like purchasing a home with instant equity. It will continue to increase in value and your asset portfolio will increase with it. So, where can you find a vintage Rolex watch for a good price? The best way is to buy one from someone who doesn’t know what he has. This sounds malicious, but it really isn’t. You’ve seen the stories where someone buys a painting at a garage sale for $10 and it turns out to be a long lost Picasso worth over a million dollars. You would be surprised at the people who don’t know the value of the things they want to get rid of. Watch the ads in your local papers, as well as the online classifieds and auctions. One great way to find a vintage Rolex watch is at a probate or estate auction or sale. These are sales that take place after someone passes away and his things are sold in order to either pay the bills left by his estate or by his family once they have taken the things they want. If the family didn’t take the watch, then they don’t know what they had and it can be yours for a fraction of the value. When you find a vintage Rolex at a good price, buy it. But make sure it is a genuine Rolex first! Check out the 5 best vintage Rolex watches. Rolex is one of the most replicated watch brands in the world, and some of the illegal counterfeits are so good that you cannot know simply by looking at the surface that it is not an authentic Rolex. You will need to ask for the serial number and the model number of the watch and then contact a certified Rolex dealer in order to make sure that it’s real. takes a well-trained eye to spot them. Here’s how to find the serial number, the model number, and the year of a Rolex watch. Once you find and purchase a vintage Rolex watch, try to get the story behind it. How did they come to own it? Did someone own it before them? Did they wear it during any special or memorable occasion? Anything that is vintage has a story behind it, and that story could make your Rolex watch worth much more than you thought! Do you own a Rolex watch? If so, is it a vintage Rolex watch or a newer one? What’s the story behind your Rolex?